The FDA approved cosmetic usage in the late 1980s upon the discovery that Botox could stop ailments like uncontrolled blinking and lazy eye. Doctors have been using Botox for years to successfully treat wrinkles and facial creases. Botox blocks signals from the nerves to the muscles. The injected muscles can no longer contract, which causes the wrinkles to relax and soften. It is most often used on forehead lines, crow’s feet (lines around the eye) and frown lines. Botox’s main claim to fame is that it will appear to iron out wrinkes and lines in aging faces. More than just a vanity product, it can be useful for treating a variety of medical conditions ranging from eye squints to migraines, excess sweating. There are currently over 20 different medical conditions that Botox is being used to treat with more being discovered regularly. Botox is administered by diluting the powder in saline (sodium chloride). Getting Botox takes only a few minutes and no anesthesia is required. Botox is injected with a fine needle into specific muscles with only minor discomfort. and injecting directly into neuromuscular tissue, Botox requires 24-72 hours to take effect, reflecting the time necessary to disrupt the synaptosomal process. In very rare circumstances, some individuals may require as many as five days for the full effect to be observed. Botox should not be used in pregnant or lactating women, as well as people who have had a previous allergic reaction to the drug or any of its ingredients. 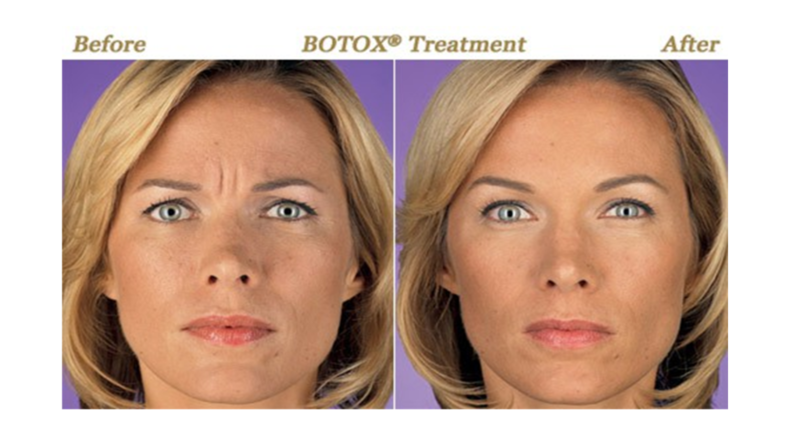 BOTOX is a treatment for wrinkles caused by repeated movements. It has been proven to be very safe when administered correctly by a physician with experience in Botox cosmetics. Botox cosmetic is an approved drug used to treat patients for cosmetic wrinkles. BOTOX works by simply relaxing the muscles underneath the skin to create a smooth and refreshed appearance. Generally, after the consultation, the procedure only takes up to 15 minutes. Since there is no downtime – you can do it on your lunchtime – and no one would know you have had it done! How quickly does it work? It can take UP TO 2 weeks for it to take full effect. Usually we ask patients to wait for the 14 days to pass in order to fully see the results. The best candidates for the procedure are those between ages of 25 and 65. In many cases, wrinkles in people over 65 are “static” and do not change when relaxing the face. Other procedures would work better for these patients. It is injected with a very tiny needle (it only feels like a little pinch). How long does BOTOX last? Is it Permanent? No – BOTOX is not permanent. It lasts between 3-6 months on average but everyone is different. Will one treatment be enough? 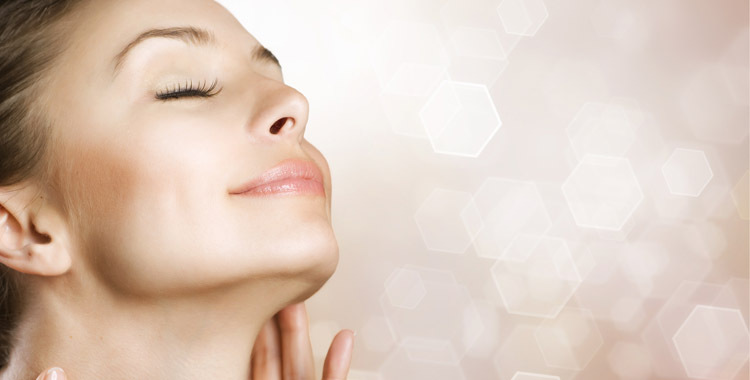 One treatment will provide you with a more youthful and relaxed appearance. For longer lasting results, it is recommended that an average of three Botox treatments will show a remarkable long-lasting improvement. Regular touch-ups every four to six months are recommended. As the BOTOX wears off the wrinkles will begin to reappear but frequently they are not as deep or noticeable. 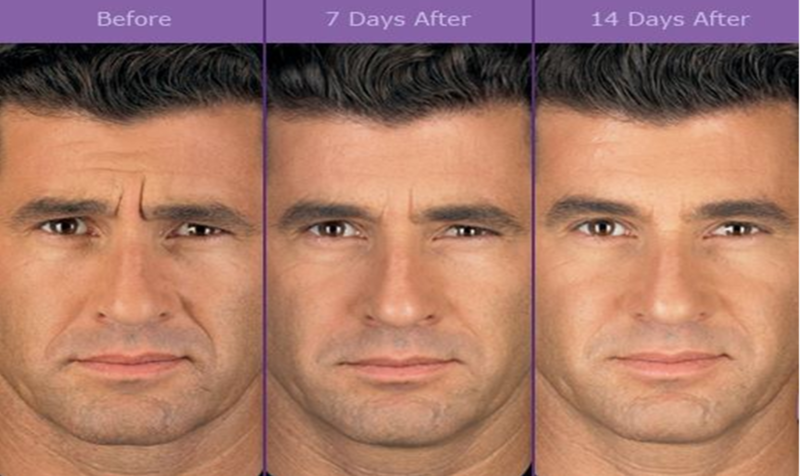 To maintain the smooth, youthful appearance year round, it requires three to four injections. With repeat treatments, the effects tend to last longer thus requiring fewer injections. Is it going to be worse when it wears off? No! Your face will never get worse if you stop using BOTOX or when it wears off. BOTOX “stops / slows” the clock of aging. When you stop getting treatments, the “aging clock” resumes like normal. At the very minimum, you will simply return to where you started. If you use BOTOX for a number of years and then stop – your muscles learn to relax and therefore, you will end up looking a little better than when you originally started. The cost of treatment varies by each patient and a personal consultation can give you a specific amount. The cost can range from R800.00 to R5 000.00 and up depending on the area treated. I don’t want to look like a mask without expression – will that happen? No. We ensure you get the look you want – as natural as you want. Most people simply want to look NATURAL, RELAXED and REFRESHED, without looking “done”. In the experienced hands at our clinic – patients typically say that no one knows that they had anything done. Friends simply say that they look well rested and great! Side effects are RARE and are NOT PERMANENT. Rarely, there can be some minor bruising (which is easily covered up with makeup) or a slight short term headache. Most patients do not experience any side effects at all. I have heard that you can get a drooping eyelid – is this true? Side effects are rare and are not permanent and this can include a drooping eyelid. Where does it go in my body? BOTOX stays local to the muscle where it was injected. After the injection, BOTOX is simply metabolised & broken down into natural by-products within a few hours. Adding volume and smoothing out the deep creases that run from the nose to the mouth. With age the thickness of our skin on the face and the tissues beneath it become thinner. Replacing this volume with fillers is a very effective rejuvenation technique. We use the safest dermal fillers available and these are mostly complex carbohydrate molecules that plump the skin. These natural molecules exist normally within the skin and have become the dermal filler of choice for dermatologists and plastic surgeons world-wide. They are fully degradable complex carbohydrate molecules which have been used nationally and internationally for several years now with an outstanding safety record. Common areas to fill are the lips, cheeks, and lower face in general. 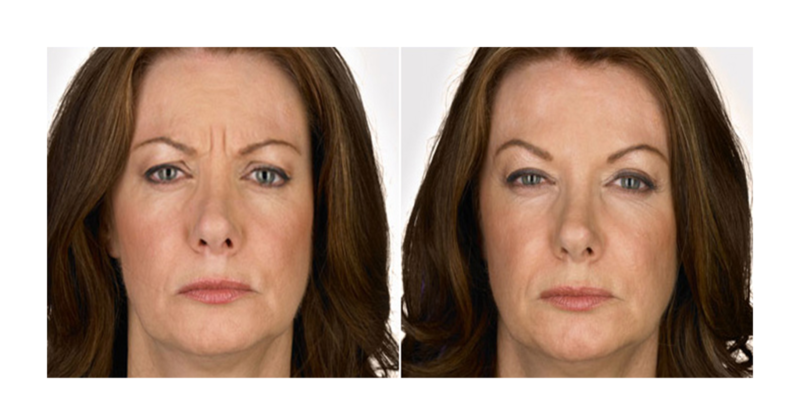 Injectable wrinkle fillers can give you a more youthful look for a fraction of what a traditional facelift costs. Most will fill lines and wrinkles in less than 30 minutes with results that can last from 4 months to more than a year. Wrinkle fillers can also be used as “volumizers,” plumping and lifting cheeks, jawlines, and temples; filling out thin lips, and plumping sagging hands. Wrinkles mainly happen on the parts of the body that get the most sun exposure, including the face, neck, the backs of the hands, and the tops of the forearms. Though you can’t control all of those factors, you can do something about two of them: Minimize your sun exposure and don’t smoke. What areas respond the best to treatment? Lip enhancement is the most popular application of fillers. In addition lines on the upper and lower lip smooth and fill nicely with this product. Deeper wrinkles and folds in the cheek areas (nasolabial, melolabial and lines at the corners of the mouth) are the next most popular site for filler use. Other areas treated include the cheeks, under the eyes, jawline and acne scars. These fillers can also be use as a non-surgical rhinoplasty (‘nose job’) in certain suitable patients. The treatment is performed by injecting the clear gel under your skin. The procedure can usually be done in less than one hour. Many patients like the added comfort provided with an anesthetic cream, while others prefer an anesthetic block. This makes the treatment relatively painless. Depending on the area treated, most folds and wrinkles require maintenance or repeat treatment. The product lasts in the skin for 6 to 12 months before being naturally dissolved. Following your injections, normal activities can be resumed immediately. Discomfort is minimal although there is often some tenderness in the injected area for 2 or more days. The treatment site will usually have some swelling, although this often is not noticed by others. Lips are more prone to this transient swelling than other areas.